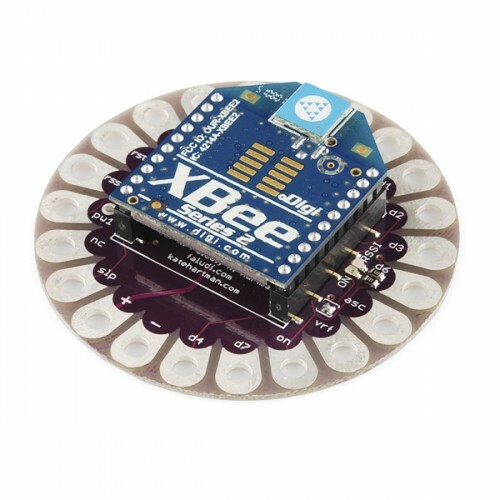 The LilyPad XBee is a breakout board for the popular XBee modules. Board includes easy-to-sew tabs and all the necessary power regulation to run on the LilyPad system. LilyPad XBee was co-developed by Kate Hartman and Rob Faludi. It works with all the popular XBee module types but does not ship with a module.